Apple upgrades the Mac Mini | What Hi-Fi? 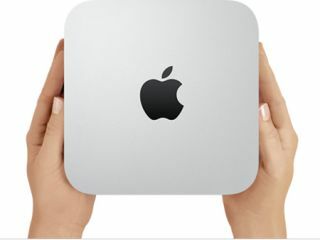 Apple has just revealed a new version of its Mac Mini for the budget conscious Apple user. While the new Mac Mini happens to be the smallest version of the desktop computer, it's certainly not the slowest. In fact, four USB 3.0 ports, an SD card reader, HDMI connectivity, Intel Core i5 or i7 Ivy Bridge processors and either a 1TB hard drive or a smaller 256GB SSD all make what will be a very capable performer. Power consumption is boasted to be 11W at idle, making it rather eco-friendly for a computer – assuming that sort of thing floats your boat. The basic model, which sports a 2.5GHz clock speed, 4GB of RAM and 500GB of hard drive storage space will start at £500 – rising to £850 for the server version – which includes a top-of-the-range i7 Ivy Bridge and two 1TB hard drives. Orders have opened today should you fancy a new Mac Mini.